We're halfway through the long Thanksgiving weekend. It's been so relaxing, even with the work of cooking a big meal. It's just the four of us and it's quiet and restful. Thursday was the main event, of course, with lots of food. The Bear and I cooked the turkey between us - every year, he cuts it into parts and gives me the breast to roast in the oven. Then he puts the rest in the outdoor smoker, with applewood chips. Both kinds are delicious. I also cooked mashed potatoes, candied sweet potatoes, cornbread dressing and roasted Brussels sprouts. The Bear baked our old favorite No-knead Dutch-oven bread. He made us a playlist which included Cracker, Grateful Dead, Gin Blossoms, Toby Keith and Old Crow Medicine Show, which got us working. 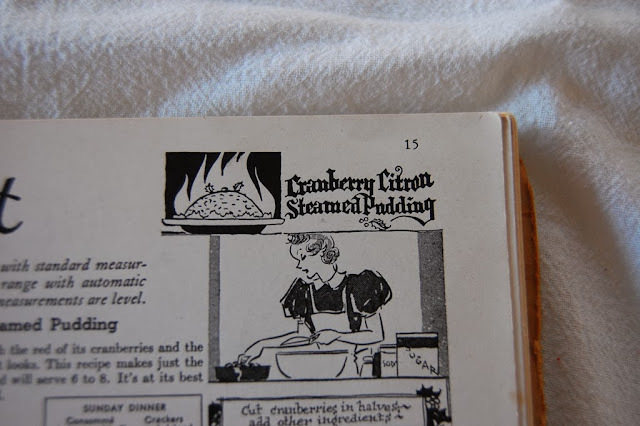 I had made whole-berry cranberry sauce (and pumpkin pie) the day before to save time. I didn't make huge amounts of anything, but it was still a lot of food and we ate it again for lunch and dinner Friday. There's still a bit to eat for lunch today but most of it's gone now. 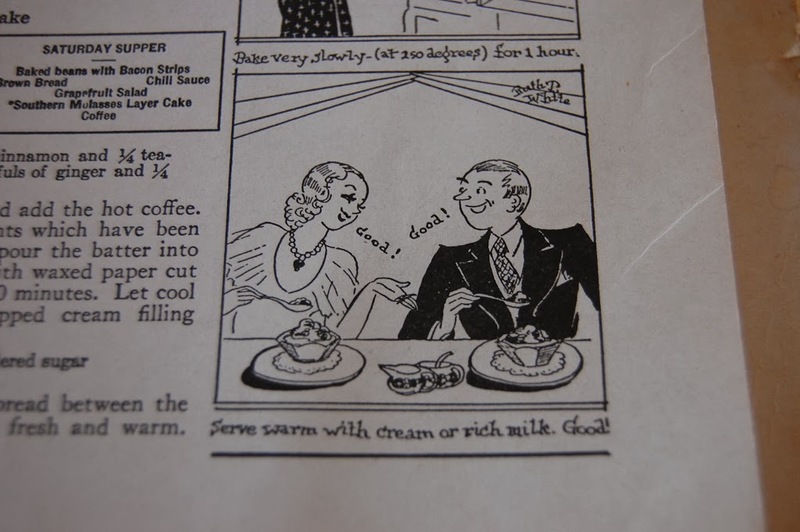 That's how I like it, though: I like to get the leftovers eaten up quickly. It's just nice. There have been lovely roaring fires, glasses of wine and sparkling cider, chocolate and cookies. Yesterday we put up our Christmas tree. We always do it on Thanksgiving weekend. I like having it up for the whole month of December, especially since we had our children. Our tree is artificial (please, no rotten tomatoes). Nature-lover though I am, I just don't enjoy the upkeep with a real tree. And after having a real tree with a spider infestation and a creepy fungus, I threw in the towel for good and we bought a lovely fake one. Our Christmas style is eclectic; we have lots of faux-vintage glass ornaments in a retro style, some Victorian and some mid-20th century along with many items handmade by adults and children alike. We've got plastic things from the dollar store too. It's all good: Christmas decorating shouldn't be stagey or fussy, in my opinion. Put up bright, happy things that you like, embrace a cheerful patchwork style. I love being at home during the day with the Christmas tree. We have ours in the living room, which is at the front of the house. We spend most of our time at the back, in the kitchen and family room. The Christmas tree brings us to the living room more. I like to sit in there on winter afternoons anyway, because it has southern exposure and the sun streams in warmly. But when the tree is up, it's even cozier and I can lose myself for a good long time just staring at the tree. It's always been that way for me, since I was a small child. I used to fall asleep lying under the Christmas tree, staring up through the branches at the lights. This weekend, I've been cross-stitching. It's so incredibly relaxing. I used to cross-stitch a lot, before I mastered crochet. I've finished the LB's afghan and it looks good. It's very boyish, which is new for me from a crochet perspective, but I'm happy with it. Today: a trip to Lowe's (I broke the plastic fitting on the shower sprayer while cleaning it this morning...I clean with vigor), a stop at the grocery store for milk, another stop at Papa Murphy's for take-and-bake pizzas to eat for dinner tonight (enough turkey already) and possibly a visit to Starbucks. You can't stay at home all the time. But I'll be glad to get back, (slipper-socked) feet up in front of the fire, needle in hand, music on the stereo (we're listening to The Nutcracker Suite this morning). I'm really far behind on blog-reading at the moment but I hope you're having a wonderful weekend, whatever you're up to. Today was my birthday and it was pretty much perfect. Well, the weather wasn't so good; we're under a winter storm warning until midday on Monday. We've had terrible weather most of the week, actually, and we woke up to sleet this morning. It's somewhat early for us to have this kind of weather in our neck of the woods, and it makes us a little concerned for the winter ahead. It was very cold and windy all day, and there were on-and-off snow flurries too. Tonight should bring heavy snow, they say, with a few inches' accumulation possible. We went out this morning, though; the small Bears had their weekly Saturday morning music classes and we had birthday cake-shopping to do. I decided to get my beloved Berry Chantilly cake from Whole Foods after all; it's the best bakery cake I've ever had. We stayed home all afternoon. For lunch, we had cashew-carrot-ginger soup (from a carton) and a crusty baguette spread with Fromager d'Affinois. Then we lazed as much as possible in front of a roaring fire. The GB had a rest right after lunch and the other three of us snuggled and watched the fire. She joined us when she got up. We relaxed - talking, playing games, listening to music. Around four I opened my presents, which are lovely. I've got a new watch (with a cool berry-purple fabric strap), a big straw basket for my yarn (I'm going to sew a fabric liner for the inside), a Purl Soho crewel kit (with a goldfinch and thistles! ), a stainless-steel pie-crust shield, a small Cath Kidston haul (four mugs, two nesting tins, a manicure set, a key fob and a set of bowls), and two wonderful crafty books - Doodle Stitching: The Motif Collection by Aimee Ray and Sewing Clothes Kids Love by Nancy Langdon and Sabine Pollehn. I did drop hints to the Bear about some of these items, but never made direct requests. This guy knows me so well. After presents we braved the cold for dinner at a seafood restaurant nearby, then back home for cake. Now it's just the two of us in front of the fire again, listening to the wind blow across the roof. It's supposed to begin snowing in a little while. The small Bears are in bed and we're stuffed and cozy. What a wonderful day. I'm in the second half of my thirties now. That was fast. It occurs to me that I have to check off a new age-bracket now when I'm filling out a survey. Is this the earliest part of middle-age, then? Oh my. I do see more gray hairs all the time but I don't really mind; I feel like I've earned them. I used to wonder what people meant when they said that but I think I understand it now. I've enjoyed my thirties so much more than I did my twenties. I can honestly say that most things in my life are only getting better. This young woman is my husband's paternal grandmother, Marion. The photo was taken in the early 1940's, when she was in her early twenties. We have better pictures of her, but I like this one. She's at home, chatting on the phone. 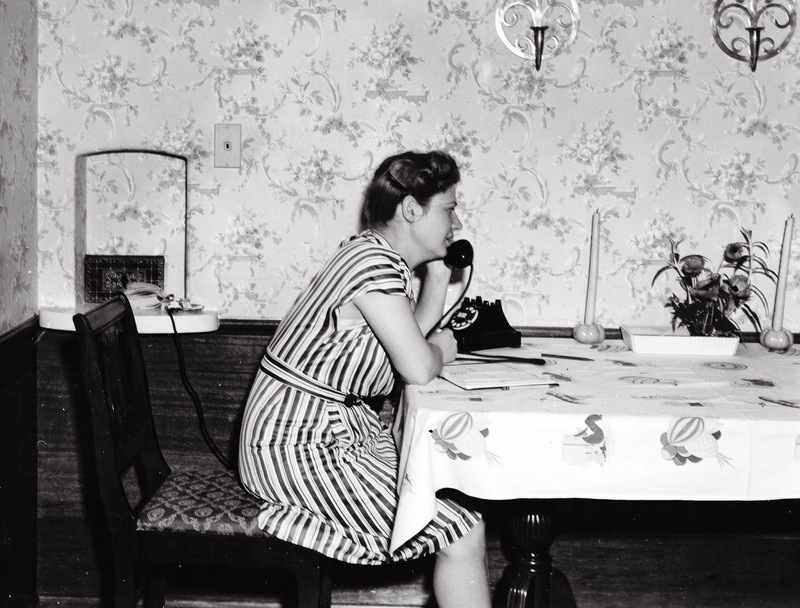 She was a sociable lady who always had lots of friends. She is sitting at the dining room table in the house where my father-in-law and his brother were raised, in San Diego, California. She was still a bride here, and had not had her sons yet. 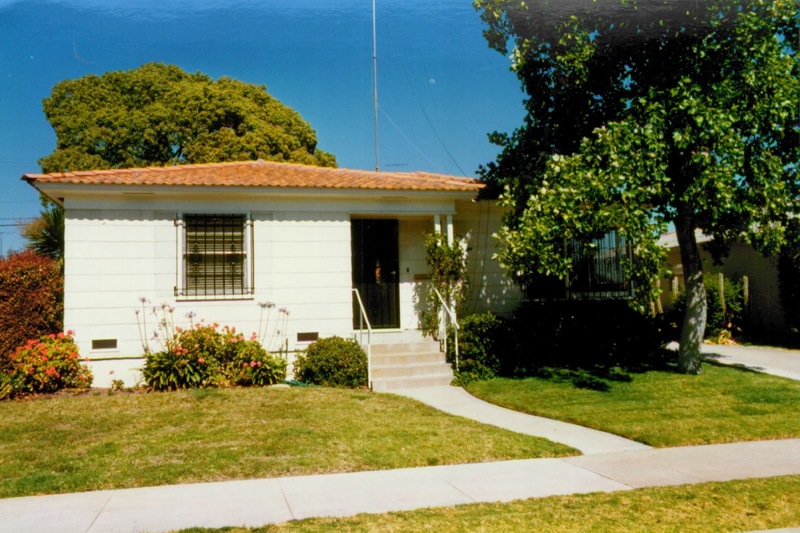 The house was small - just two bedrooms, a tiny galley kitchen, bathroom, living room and dining room. It was built by her own husband just before their wedding, and she made it very cozy. She loved to crochet, knit, sew, cook and bake. It was a happy home and she was much loved. I never knew Marion; she died before I met the Bear. But everyone tells me that I would have gotten along with her and I think they're right. I visited her house many times when we went to see the Bear's grandfather, who lived there until he died in 2009. 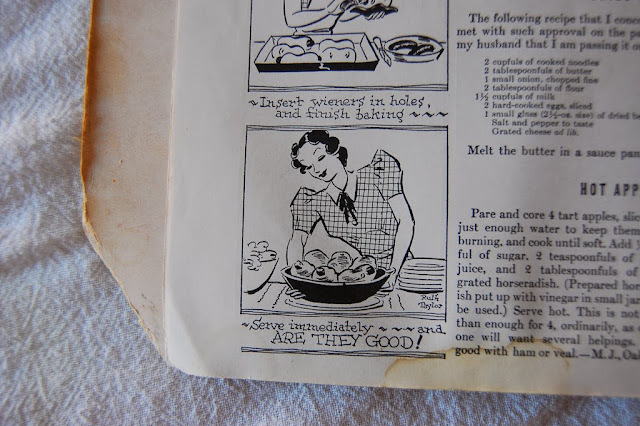 One of the best things about visiting the house was the chance to look around and see evidence of her love of homemaking and mothering; her husband kept everything, sometimes to his own detriment. There were blankets, quilts, tapestry pillows, table linens, bed linens, kitchenware, handmade toys and holiday decorations and photos, photos, photos. Their home, photographed when the Bear was a child. I'm sentimental in many ways, but this may be the most inexplicable: sometimes I feel nostalgic for a time I've never lived in. 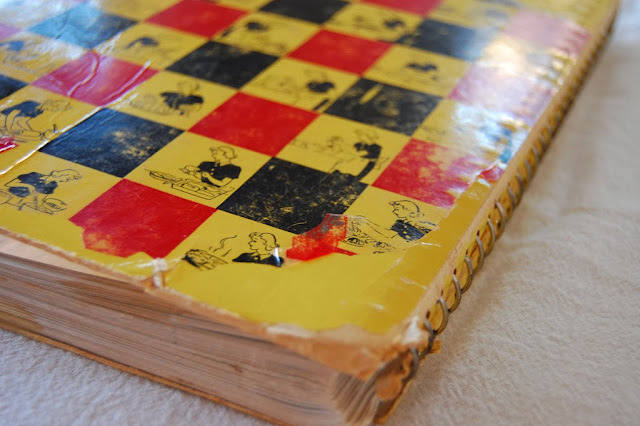 When I look at old things - clothing, books, housewares - my mind races with ideas that feel like memories. But they're not memories - they're hypothetical ideas about the lives of people I barely knew, or never knew at all. As a teenager, I kept journals just for writing about this; I'd see an old item and I'd have to scrawl out a history for it. I couldn't not think about old things this way, it was a compulsion. I feel this way about things I've been given which once belonged to Marion. I have some jewelry and books and crocheted afghans and knitted baby clothes, all of which I treasure. My favorite item is a cookbook which was published when she was young and given to me shortly before I got married. It's old and brittle, so I don't take it out very often anymore, but I can't resist an annual reading just before the holidays. It's very special to me and I'd like to share it with you. 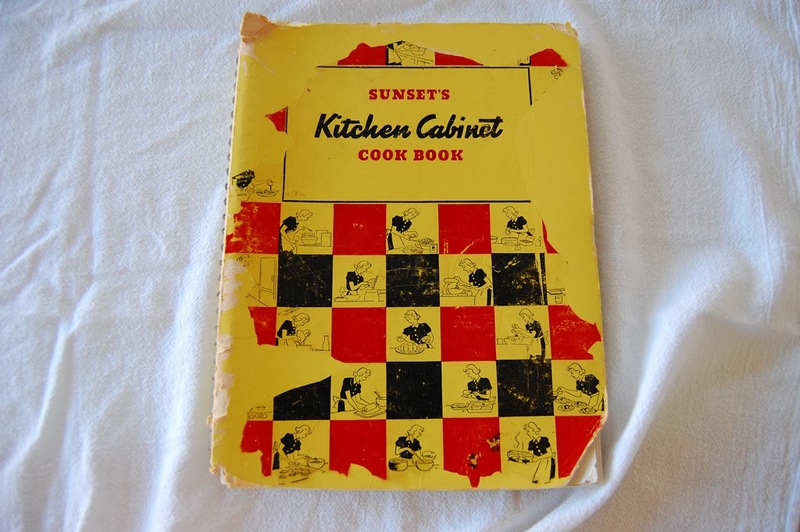 This is Sunset's Kitchen Cabinet Cook Book, originally published in 1938. 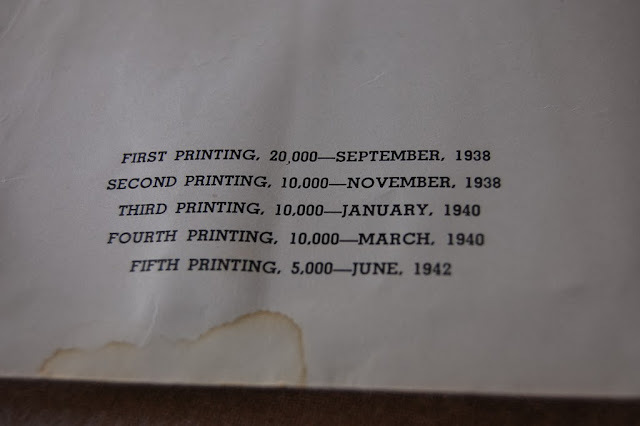 Mine is an original copy from a later printing, and it was much loved by Marion. I love it too. I feel really lucky to have this book, not least because I'm an avid Sunset reader today. This book is well-traveled; it started out in California, then went to Utah for awhile when Marion's husband was training pilots during World War II. Then it went back to California until my mother-in-law took it with her to Colorado and later, Arizona. Then it was brought to me in New York, and eventually I took it to New Mexico. 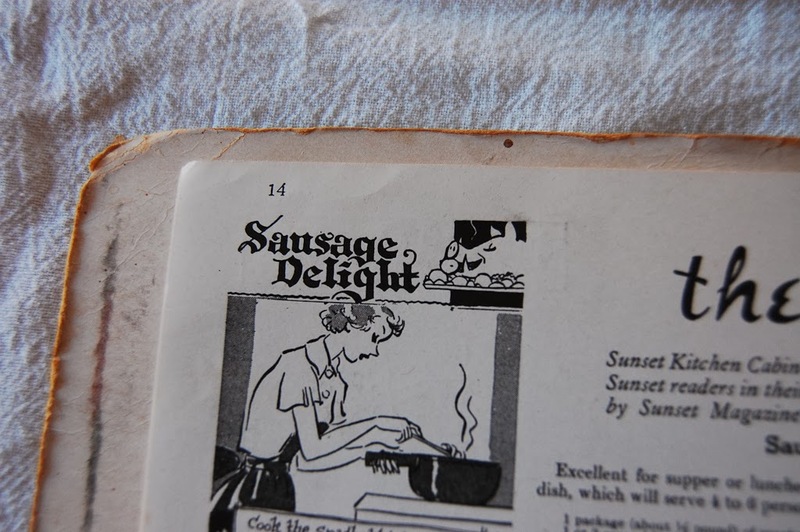 The cover has a type of cellophane layer over the paper; the cellophane layer is the part that is illustrated. It's flaking off both front and back, so I try to be very delicate with it. The book usually lives in the top of the cabinet where I keep my everyday dishes; it's under a small stack of other books to protect it. 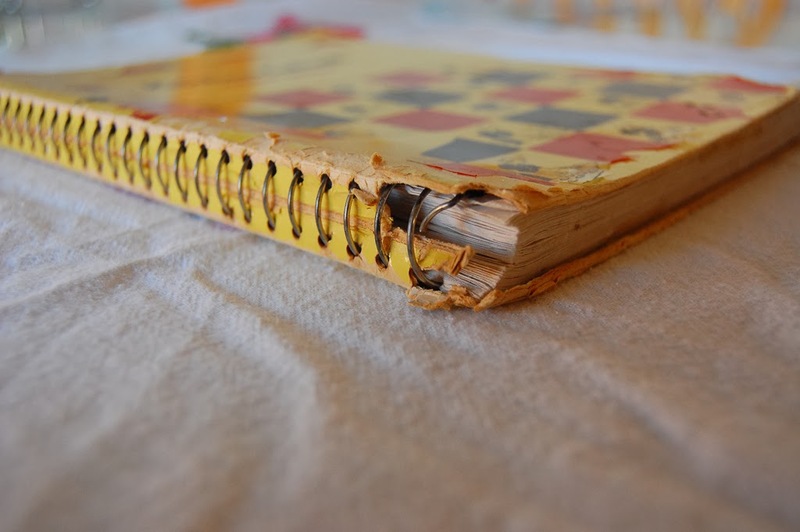 The book has a spiral binding but the cardboard is beginning to disintegrate along the edges. It has to be opened very gently because bits are breaking off here too. 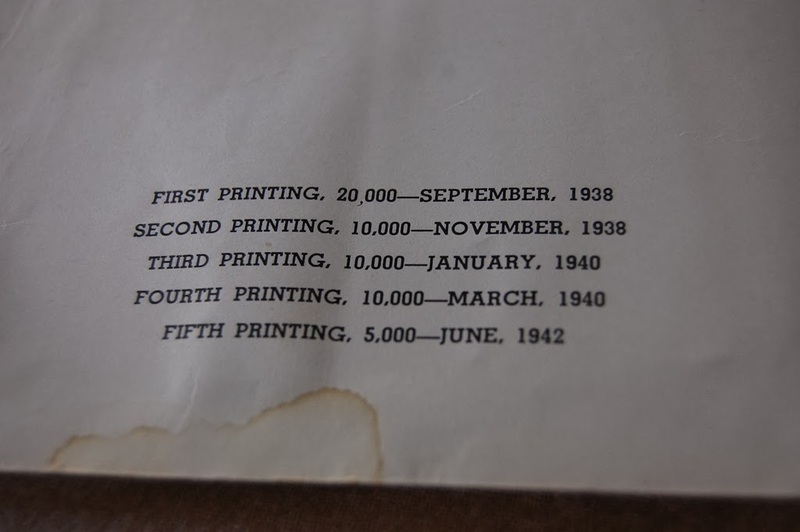 This copy is from the fifth printing, in 1942. I have never seen another copy of this book, but I always look when I'm in an antique shop which sells old cookbooks. 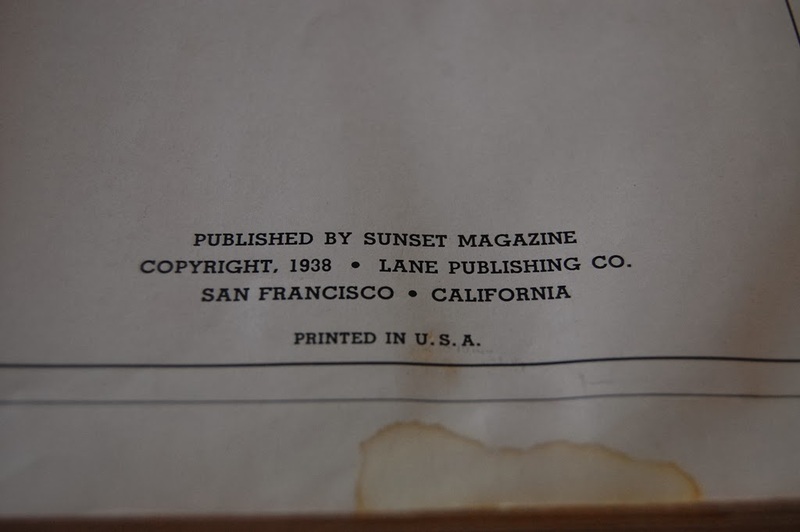 This book would have been published when Marion was 21, married for about three years. She was married a week after she graduated from high school. It's difficult for me to imagine, even though I married pretty young for my own generation. But it was a different time, and by all accounts, it was a happy and loving union. He was a friend of her older brother, several years her senior. I have her high school yearbook, class of 1939, and it's interesting to read the handwritten messages from her friends, wishing her well with her marriage. It doesn't seem to have been remarkable to them; in their time, when you finished school you were grown. 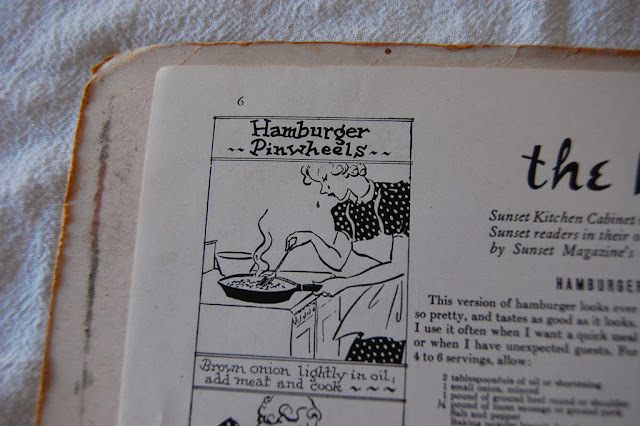 Each page has one recipe illustrated in comic-strip style down the outer edge. I like the stylized 1930's/1940's ladies very much. When chopping or sauteing onions, these delicate beauties shed tiny tears, as above in the "Hamburger Pinwheels" illustration. They wear pretty dresses and fetching aprons when they cook - can you see why this book captures my imagination? For the most part, the recipes are dated - people don't cook this way anymore. There is seemingly boundless use of organ meat and animal fats and many of the recipes seem needlessly complicated. 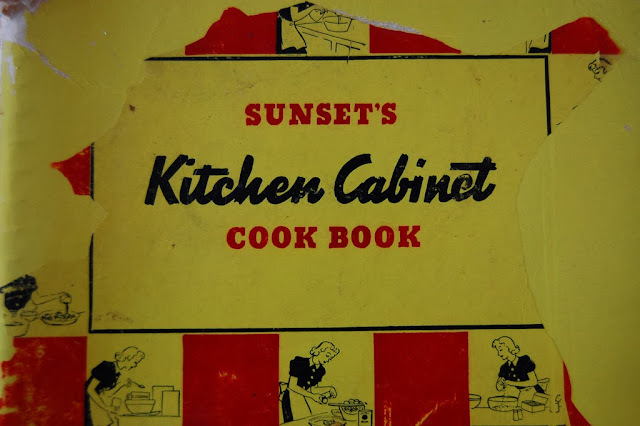 But one of the best things about this cookbook is that it was reader-generated; every single recipe was submitted by a woman living somewhere in the Western US (Sunset's target readership area) and each includes a small tidbit about the recipe in her own words, along with her name (always "Mrs." with initials - maybe her husband's?) and her location. 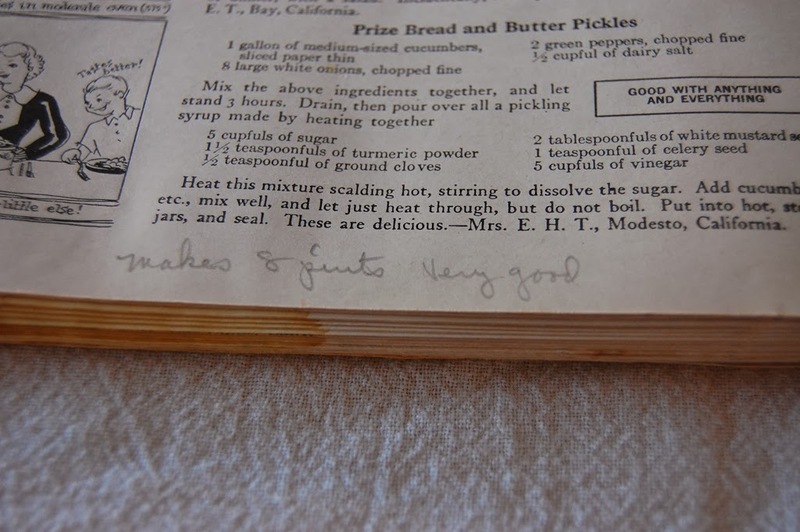 Some recipes have handwritten notes. They make me so happy. I feel like it's a way to know her a little bit. 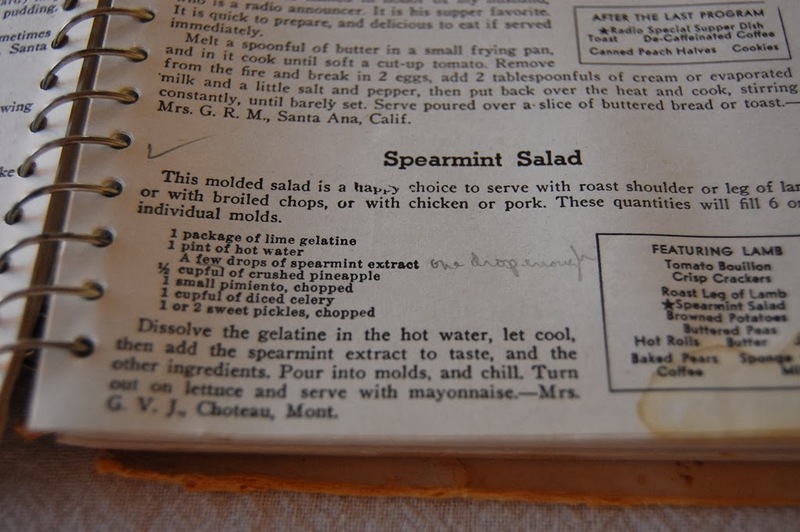 I have some other recipes, in cookbooks as well as scraps torn from magazines and newspapers, with her notes on them. Some of them pertain to holiday meals cooked when my husband was a child; I really enjoy knowing that she planned a long-ago Christmas dinner with his distaste for beets in mind. It helps me feel closer to him too; I sometimes have trouble coping with the idea that I haven't always known him. He's older than I am to begin with, so this is obviously silly, but I can't help it. I want to know what happened before I got there. I'm insatiably curious about other people - okay, I'm really nosy. Some recipes seem too fussy, I think. Here's a recipe for "Ham Ring" which has a diagram for serving and which specifies that one use "a huge green pottery platter" for it. You also have to cook a separate "potato ring" for the second round of the arrangement. So fancy and so specific...it kind of makes my head hurt. 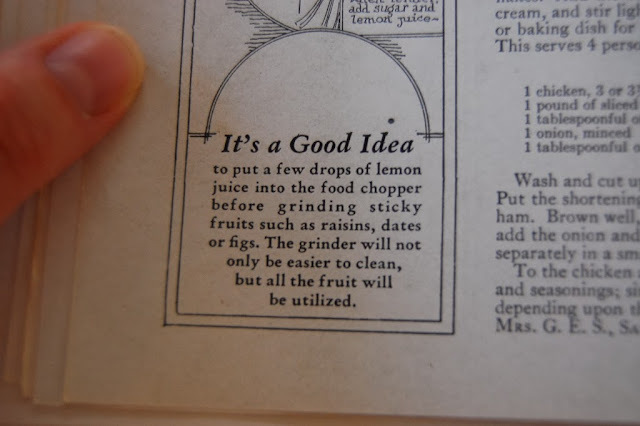 This is easily my favorite recipe in the book, though I have never actually made it myself. 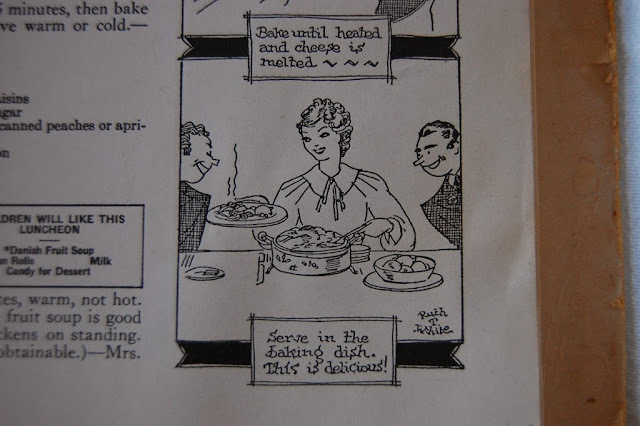 It's a recipe for "Circus Dogs," which are comprised of "wieners" (hot dogs) stuffed into bored-out potatoes and baked in the oven - or better yet, a campfire. The woman who submitted this recipe said that it was one of her husband's favorite dishes, first experienced when he ran away with the circus as a boy. The traveling circus folk would cook this in their campfires wherever they were spending the night. The recipe entails boring the potatoes the long way, then putting a hot dog inside. That's it. I think they probably would be very tasty. I don't necessarily feel that one needs to dress up quite so much for a dinner involving hot dog-stuffed potatoes but this could be a reunion dinner with the ringmaster himself. Some pages have a little note under the heading "It's a Good Idea," offering tidbits of advice to the home cook. Some are useful, and some show the way dining as well as cooking technique have changed since this book was published. A "meat course"? 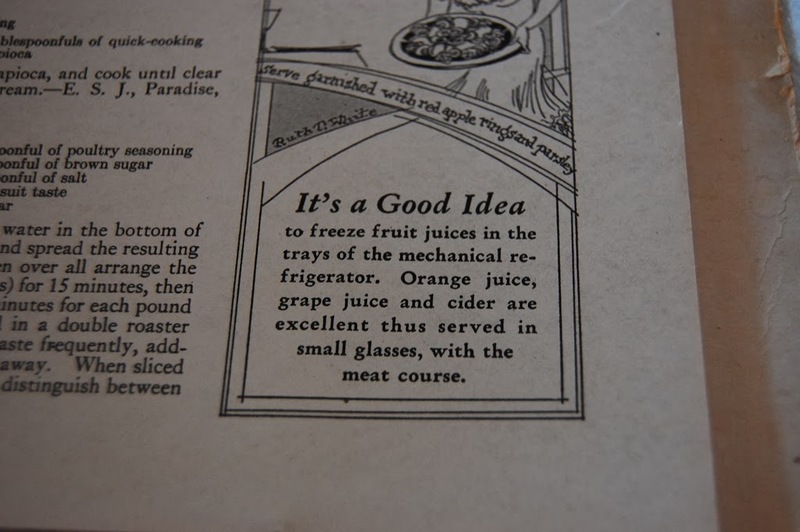 "The mechanical refrigerator"? Pickle relish/peanut butter sandwich spread? It's very dated but I personally love having the opportunity to peek into culinary history this way: real people wrote these recipes and offered their own tried-and-true cooking tips. I've only tried a few recipes from this book myself, including a butterscotch pie baked for comfort in the days immediately after 9/11. I've also tried a broiled-tomato-with-cheese "snack" (described as being a good one to serve "some night after your and your husband and another couple have been out to the pictures"), a basic yellow cake and a casserole, among a handful of others. 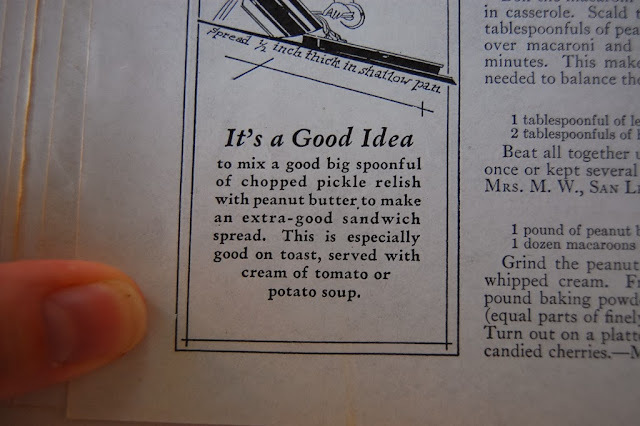 Some ingredients are difficult, if not impossible, to find today. Other recipes, as I mentioned, seem a bit too complicated for my tastes, or the flavor combinations are questionable. 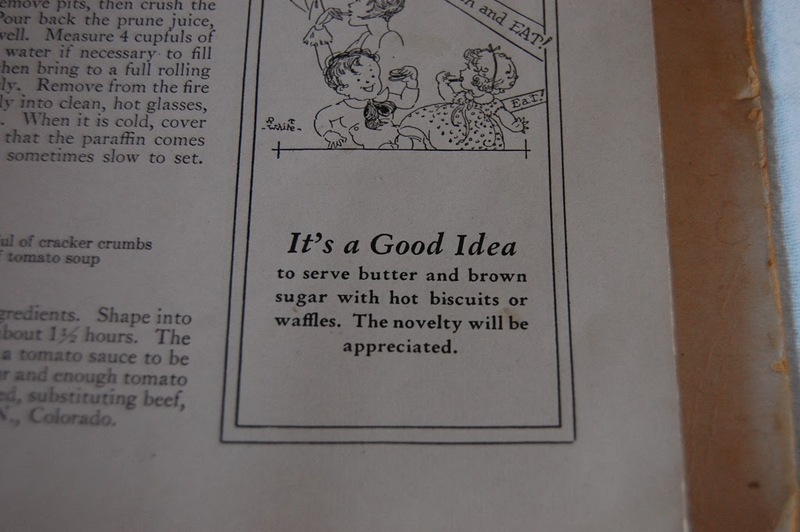 They were written for a different time, when the Great Depression was at its lowest depths, or just ending, and people had a different relationship with food. I respect that. 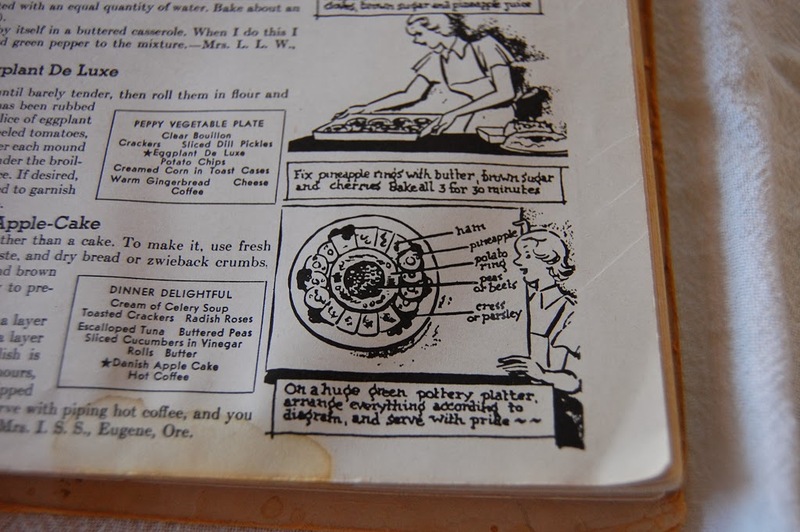 I find it fascinating too, in the same way that I enjoy learning about rationing during and after World War II and the make-do recipes of that era. I'm really glad to have this book because it's a glimpse into a time which captures my imagination, and a lifestyle that I often find myself striving to emulate. And it's heartwarming and informative. I expect to haul it out at holiday time for many years to come. It gives me a lot of satisfaction to thumb through it and think about the ways in which my life has changed since I was first given this book, when I was an inexperienced homemaker, a clueless cook, a soon-to-be bride, an idealistic teacher - and still years away from the then-terrifying role of mother. I'm much more confident now but I always want to learn more. 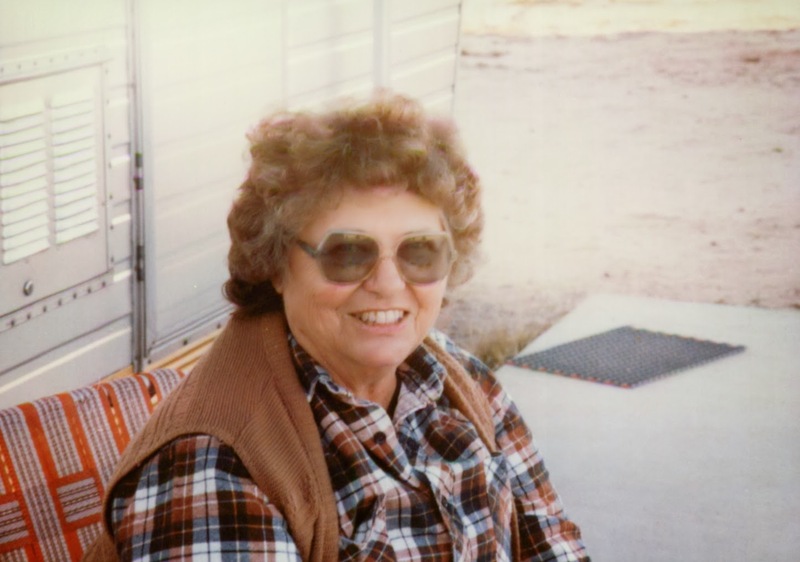 Marion, a few years before she passed away. I feel inspired by Marion, even though I never got to meet her. I have evidence of her love for home and family all around me, especially in the grandson who cherishes his memories of her. She did important work in a small corner of the world and she did it with all her heart. I'm proud to follow in those footsteps. Thank you for your kind words about the GB's illness this week. She's all better now and was back to school today. 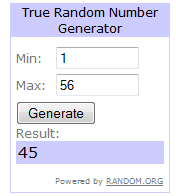 Last call for my Birthday Giveaway! The entry period ends tomorrow and I'll announce a winner soon.